Woodgrange Rd, in north Forest Gate, is the main shopping centre for a mixed residential area with high levels of economic/social deprivation and housing insecurity, and the most diverse population in London. We have many betting shops and want to support the small independent traders and weekly market that has recently arrived by converting derelict land next to the high street into an open access community garden. In 2012 a development was proposed which would have destroyed Woodgrange Rd. A local opposition campaign had overwhelming community support and it was rejected. 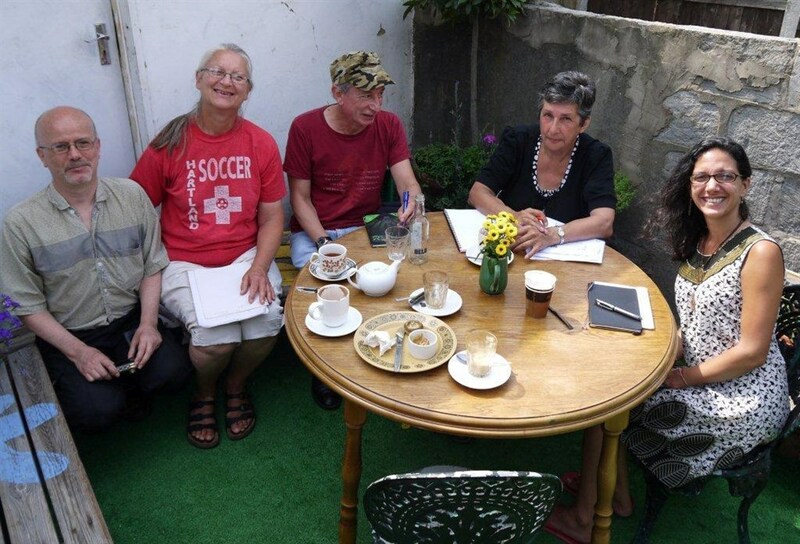 Resulting surveys identified that residents wanted accessible green space and the Forest Gate Community Garden group was born. 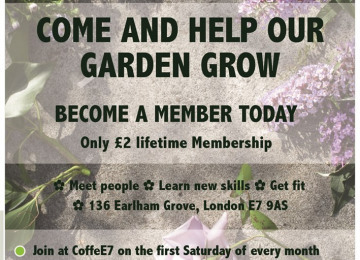 We set up a CIC, have > 150 members and have a number of grass root initiatives to ‘green’ the high street including garden maintenance at a local church and a ‘pop-up’ garden. Our 5-year lease with LBN is at the final stages of agreement and we have submitted a planning application. The Garden will improve the overall look of the High Street, converting derelict land into a vibrant wildlife garden. 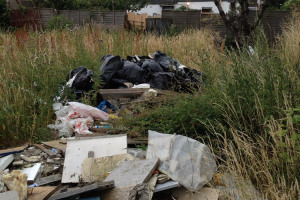 The site is currently used for fly tipping and street drinking and working with local police we have created garden designs that will be safer for local residents. 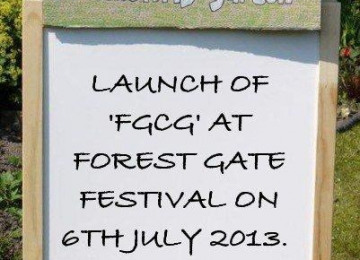 This will promote local pride and ownership in our High Street. The Garden will increase visitor numbers to the High Street and support businesses by providing an outdoor venue for community activities including arts events, workshops and educational activities. The garden will be accessible to those with disabilities and will integrate communities through diverse activities. The project is timely, complementing infrastructure improvements at the Forest Gate Crossrail station, including increased improved pedestrian and cycle access. The Garden will provide an opportunity for people to engage in the community through volunteering, enjoying the garden, and learning about wildlife and gardening. The Garden will create a wildlife area, a safe play area for children, an outdoor classroom, and a community hub. We aim to increase users each month and to hold 3 community events, 2 education workshops and a community celebration attracting people from all diverse local groups. 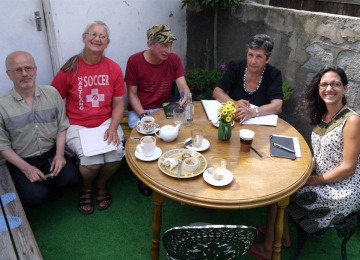 Our Steering Group has experience in garden design, community art projects, project management and event organisation, and our volunteers have skills to help with site clearance, maintenance, planting and events. We have already secured funds for pop up events, insurance and publicity, and have the support of our local authority and councillors. We have secured resources in kind but infrastructure, equipment and policy development are still needed. We need £5450 to get the project started. In case our 5 year lease is not renewed we are exploring further medium-term opportunities e.g. 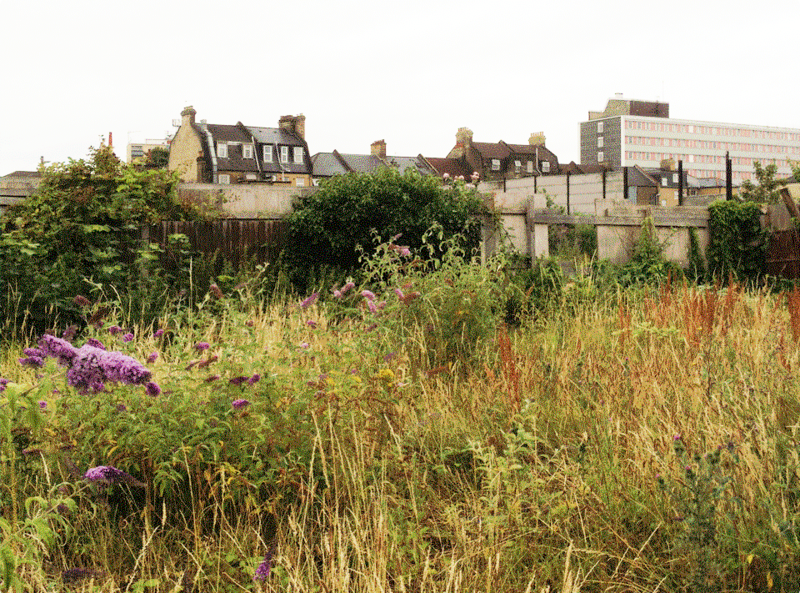 with The Red House, a community centre with great garden potential. We are also ensuring that much of our garden is portable. 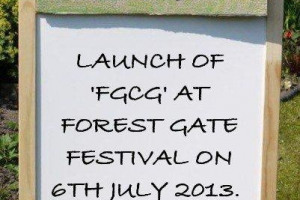 Forest Gate is in East London near Stratford. The population is the most diverse in London, and many people struggle to achieve a good quality of life. North Forest Gate is centered on Woodgrange Road. 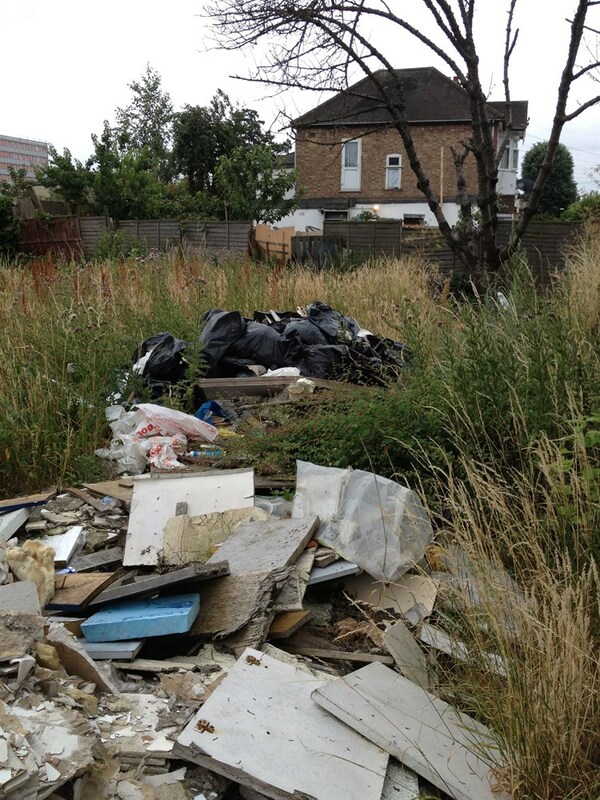 In 2012 a property developer proposed a development just off Woodgrange Road. There was a vigorous local opposition campaign and it was rejected. 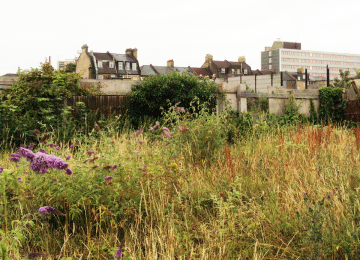 In this context, several comprehensive surveys about residents’ needs and aspirations showed accessible green space was very high on the list. Existing substantial green spaces are all at least a half a mile from the town centre, too far for parents with buggies, the elderly, or a half hour lunch break. 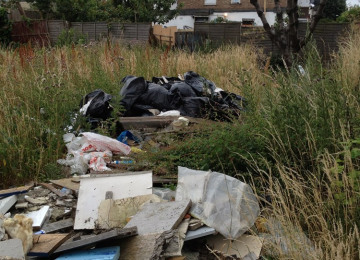 A group of residents identified a derelict site, 1 minute from the high street, as a potential wild life garden for local people to create and use. We saw it as a place for people from all backgrounds and abilities to mix, relax, hold community events and take part in healthy activity. It would also be a springboard for gardening education and outreach. We visited other gardens and felt that vegetable gardening would only serve a few families, while a wildlife garden would appeal to everyone. We have plans to expand into vegetables as part of the outreach project. We set up as a Community Interest Company with over 150 members, and many more supporters. The Market other voluntary groups and local businesses support us. 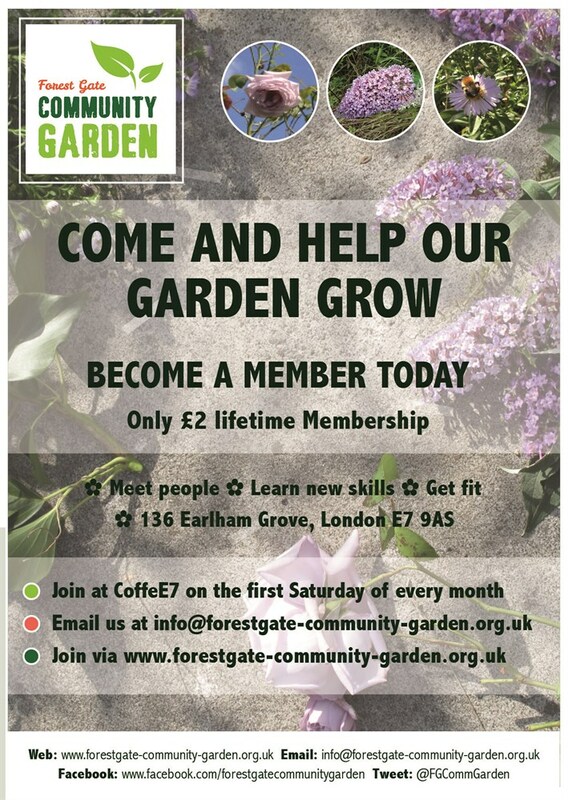 We have visited other community gardens, taken part in many community events and run some of our own, including a one day Pop-Up garden, produced newsletters to keep our members in touch and set up a website. We are also active on Facebook and Twitter. We have fundraised, obtaining two small grants so far, and been given an amazing quantity of useful materials from the Olympics. We are trying hard to re-use and re-cycle and will have a greenhouse made of plastic bottles! Our Organic Gardening Course starts in January. 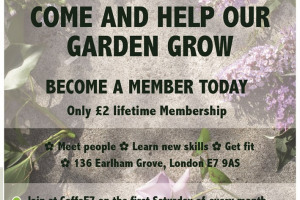 To keep membership open to everyone, we only charge £2 for lifetime membership, so we need to raise about £10k for our start up and first year costs. 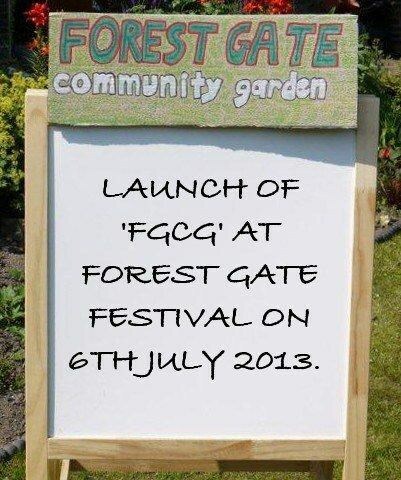 We hope to have access to the site in early 2015, when we start to develop our green space in the heart of Forest Gate for everyone in our community. Our next task as we start work is to raise funds to help transform our dream into reality! Project Delivery Manager: Forest Gate Community Garden CIC The Project Delivery Manager takes legal responsibility for receiving and spending the funds raised and ensuring the project is delivered.